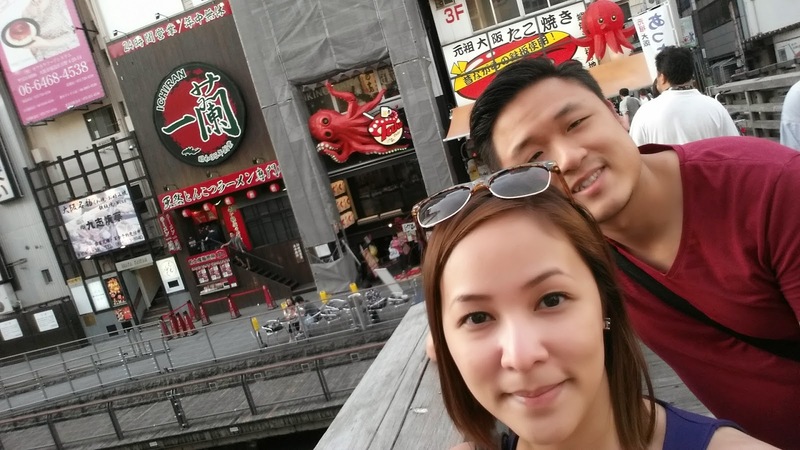 Food Escapade at Ichiran Ramen | Vanity and Everything in Between. Okay, I left like we were always on food come everyday when we were in Osaka. Food was just great! We tried a lot of food and yet we still missed out a lot! But of course, you can't leave Japan without eating Ramen. We decided to go to Ichiran Ramen for that. Luckily, Ichiran was just about 1 block and a half away from our hotel. 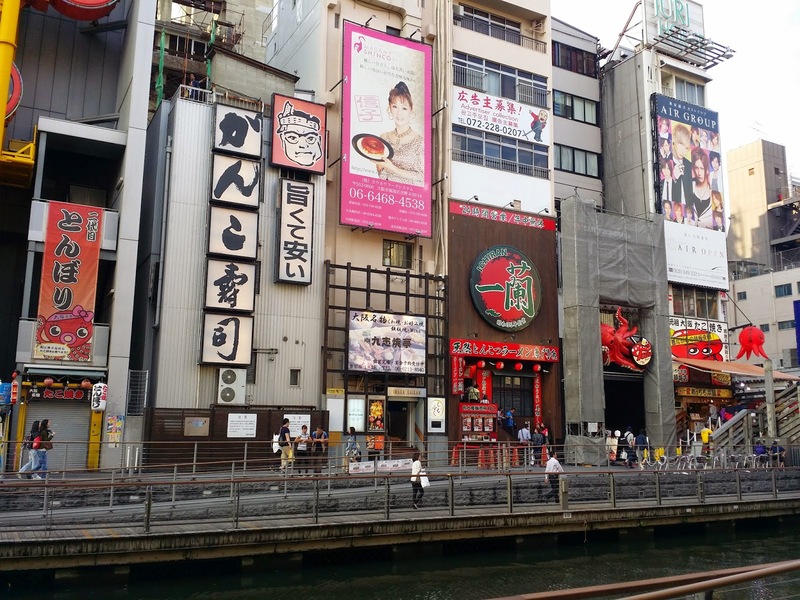 Ichiran is beside the most famous Takoyaki Bar in Osaka! 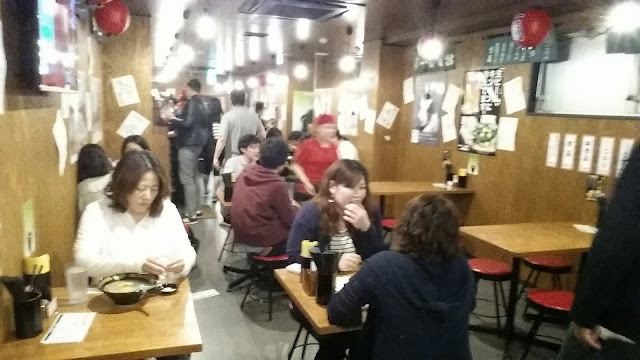 People that have eaten in Ichiran always tell us that there is always a long line in Ichiran. That's how good their ramen is. But I guess we were lucky because we didn't have to wait in line that long! 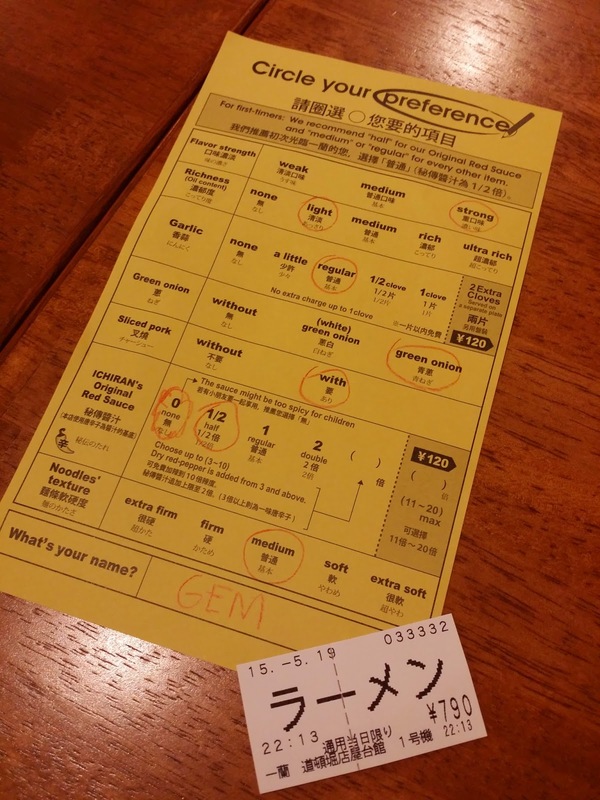 Actually, we didn't wait at all because we chose to eat their ramen on a usual dining table set-up than Ichiran's cubicle set-up (you know, the one without interaction with people). The waiters will direct you to their vending machine to get your order. They only have one kind of ramen (pork broth) so you don't need to think long on what to get. The standard ramen is JPY790 and it gets more pricey when you add egg (it becomes JPY920) so on and so forth. Not your usual Ichiran Ramen house. 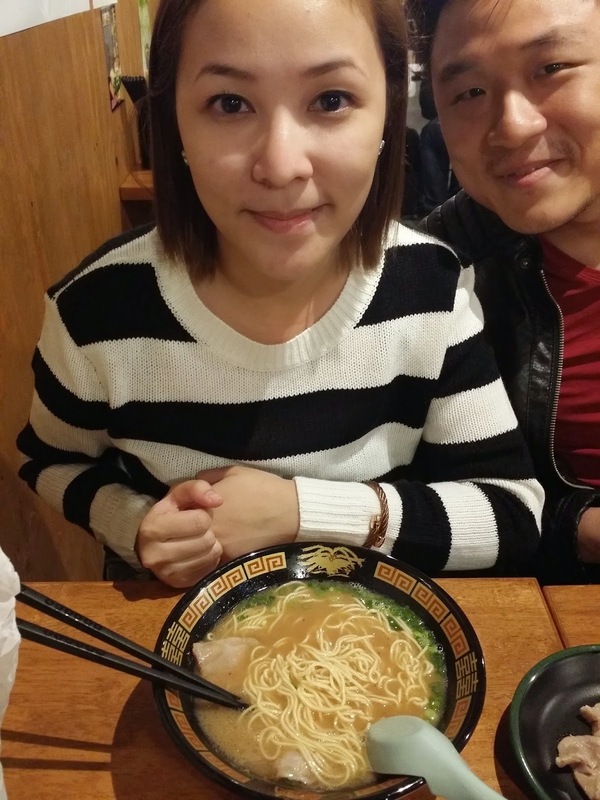 My Ramen and I photobombed by the love of my life! The hype is real. Ramen is good. This is the first full bowl of ramen that I finished. I was with my brother, sister in law, and cousin and they loved it, too! And we are people who are not partial to ramen. Except for L who loves Asian food (duh, he's Chinese and grew up with Chinese and Japanese food). Haha! It's D. LOL! 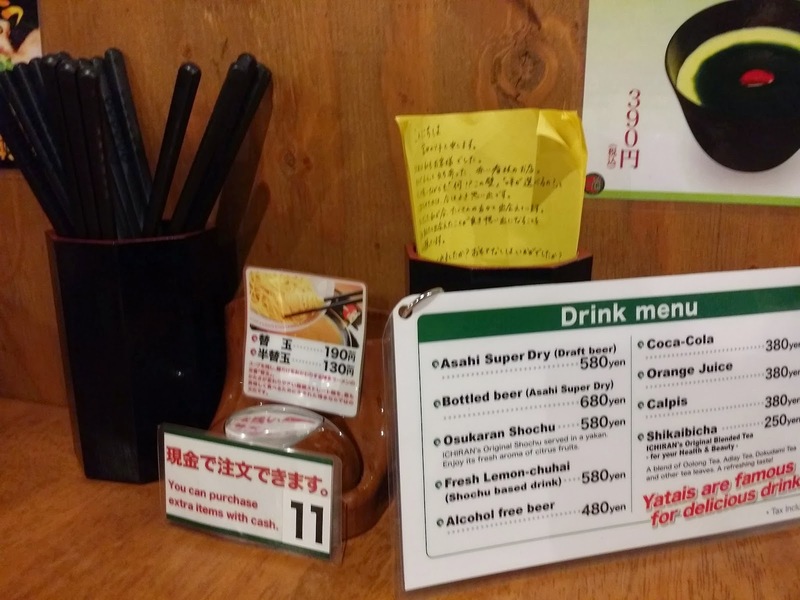 Oh yeh, to avoid confusion, Ichiran Ramen has two branches in Shinshaibashi area. We found out about this when we went to Dotonburi. We headed back to our hotel from Dotonburi because we were carrying a lot of paper bags/plastics bags from all the shopping. On our way back to Dotonburi, we took a different route and saw the other branch which they call Ichiran Ramen Yatai branch and it has 5 floors? Ichiran Ramen has branches all over Japan. They also have branches in USA, China, and Hong Kong. As for the set-up, I'm sure that their set-up in Hong Kong is the cubicle style and not the dining table style. 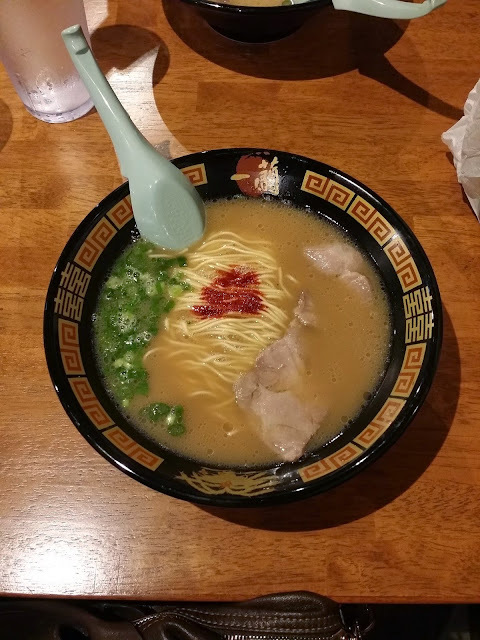 Ichiran Ramen is open 24 hours so you can satisfy your ramen craving anytime! I just had an instant ramen noodles which was a pasalubong by a friend who recently went to Japan and again, I am craving for it! Good thing she gave me 6 packs! LOL. The only " authentic" ramen that I have tried so far was the one in RamenX. Hopefully one day soon, I get to visit Japan and eat a real ramen too! GRABE TO! This is my fave. I guess partly because you can customize it to your heart's content, but it's also super malinamnam! I don't think it will click here because Pinoys like to linger and talk when they eat PLUS I think it's a condition that it's open 24/7. I love it. Law was a bit disappointed with the noodles. He wanted harder noodles pa. Asidd from that ang sarap, nakakaiyak! I wanted to try the take out pero di available that time. Yung toyo lang available haha!